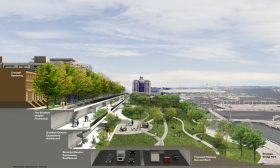 One of the city’s plans to rehabilitate a 1.5 mile stretch of the Brooklyn-Queens Expressway (BQE) includes building an elevated highway next to the Brooklyn Heights Promenade. 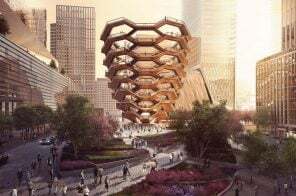 But opponents of the repair plan, which requires the pedestrian promenade to close during construction, say the roadway would block views of the Manhattan skyline. 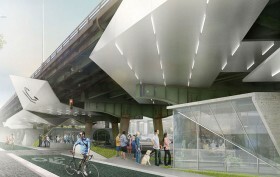 Renderings created for activist group A Better Way NYC shows how an overpass would block sweeping views of the city, as the New York Post reported. 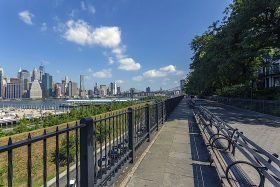 The Brooklyn Heights Promenade could close for six years while the city rehabilitates a 1.5 mile stretch of the crumbling Brooklyn-Queens Expressway (BQE), transportation officials announced Thursday. 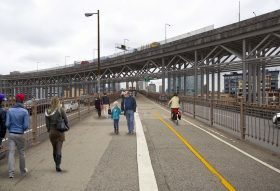 According to Politico, the city’s transportation department unveiled two plans for revamping the Brooklyn Heights and DUMBO section of the BQE, which supports the promenade. 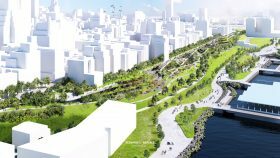 The options include a quicker, six-year plan to divert cars to an elevated highway next to the Promenade or replace the BQE lane by lane, which could take up to eight years. 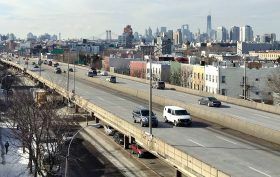 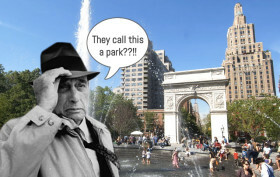 When it was built in the 1940s, the Brooklyn-Queens Expressway became immediately notorious for the fact that Robert Moses planned it to rip through otherwise quiet, low-scale neighborhoods. 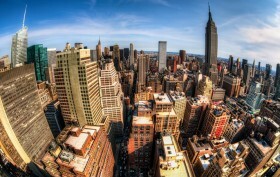 Today, it’s poor reputation has more to do with potholes, bumps, congestion, and pollution. 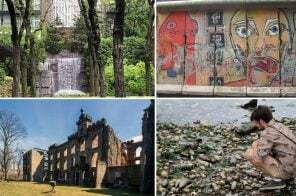 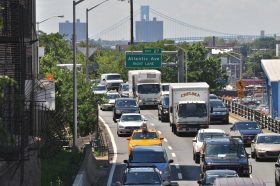 But that will soon change, as the city is embarking on a five-year rehab of the heavily trafficked, 1.5-mile stretch of the highway that runs between Atlantic Avenue and Sands Street in Brooklyn and includes “21 concrete-and-steel bridges over local roads,” according to the Times. 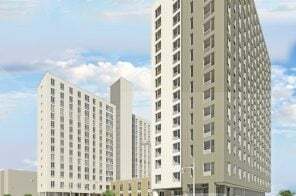 And at $1.7 billion, it will be the Department of Transportation’s most expensive project ever undertaken.